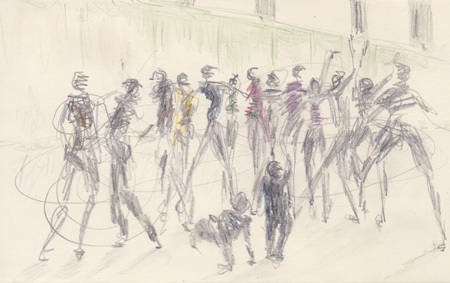 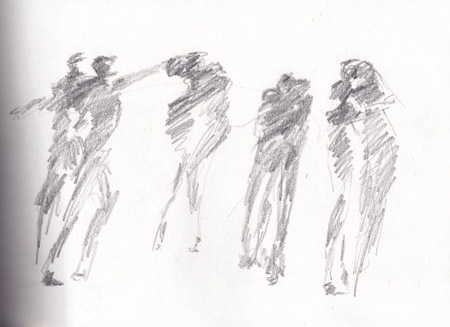 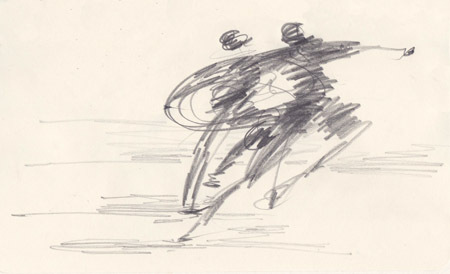 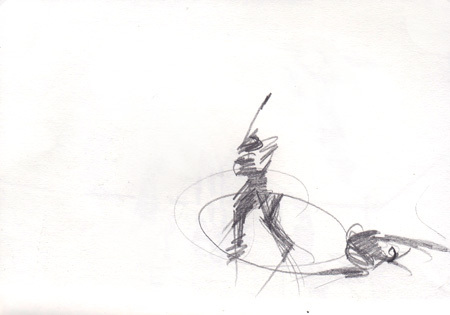 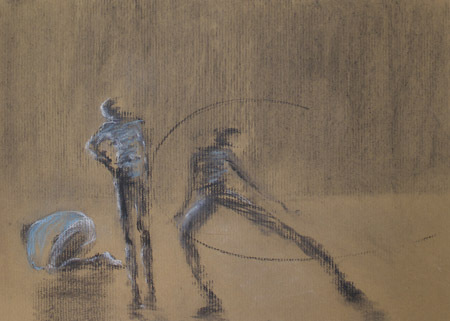 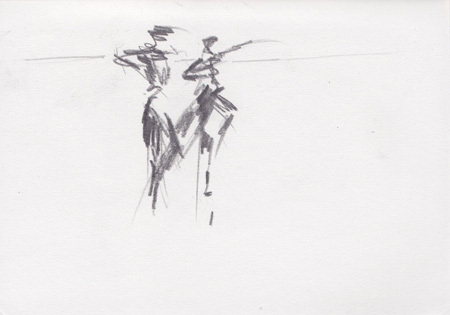 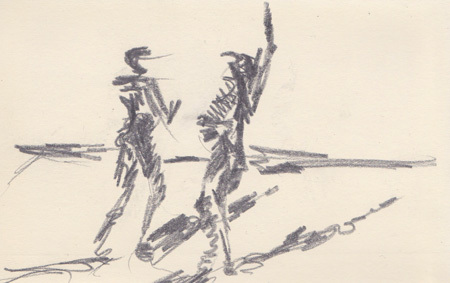 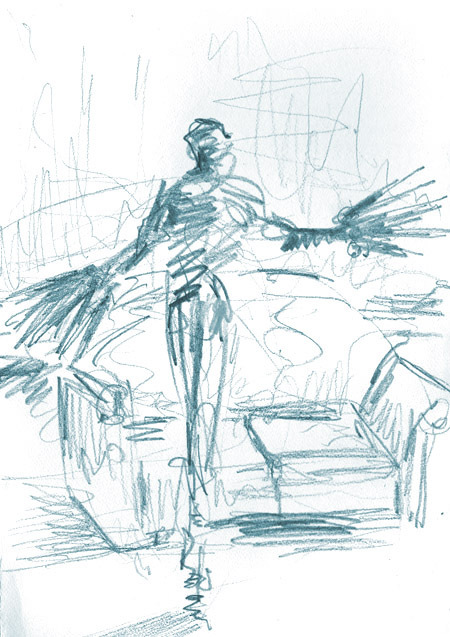 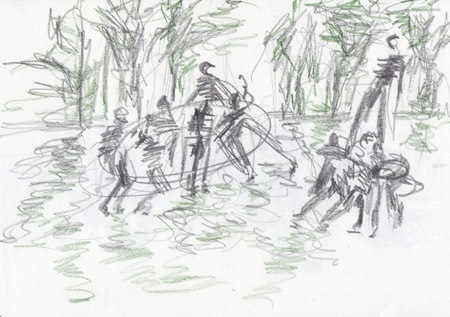 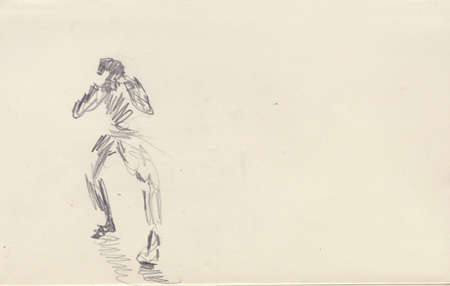 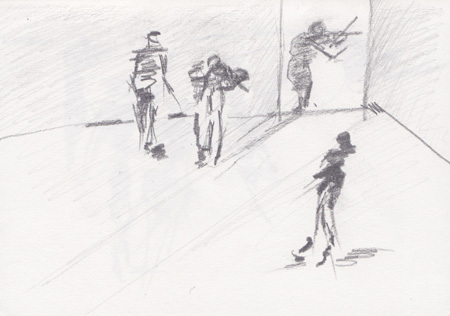 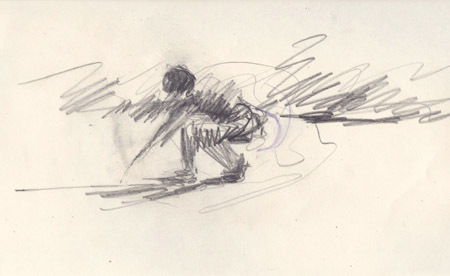 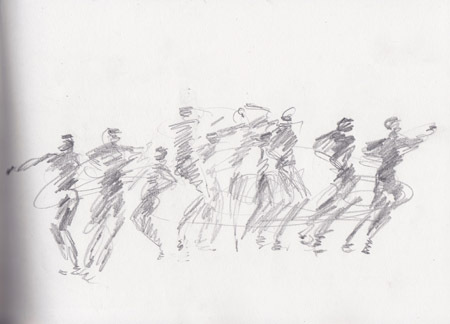 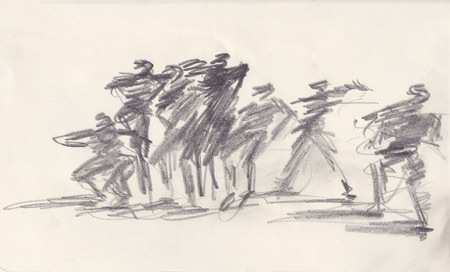 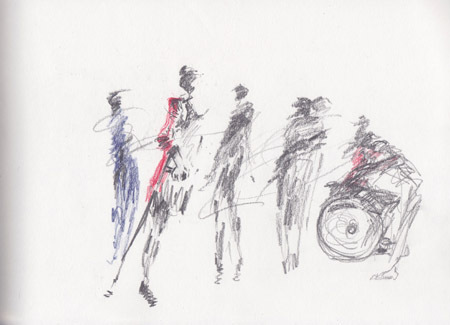 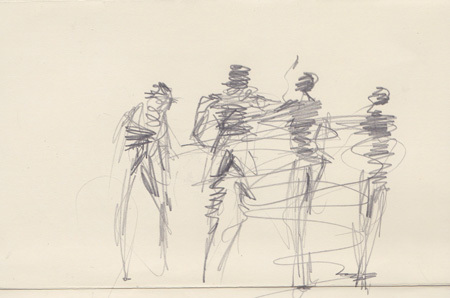 I first watched and drew Anna Teresa de Keersmaeker’s company, Rosas in 1999 performing in London’s Southbank Centre to the percussion of Steve Reich. 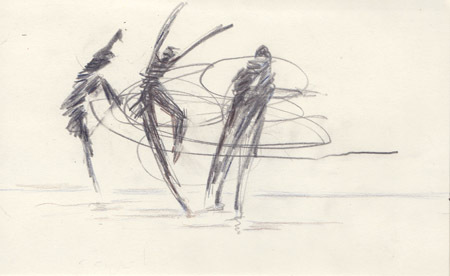 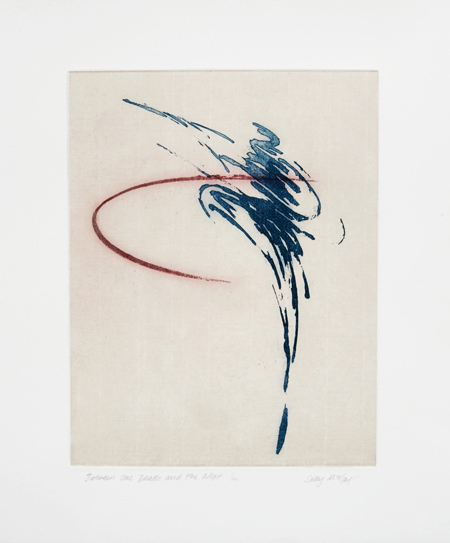 From my drawings I made a soft ground etching, still a favourite of mine, looking at it I recall the speed of the dancers, the drumming and the spacious set. 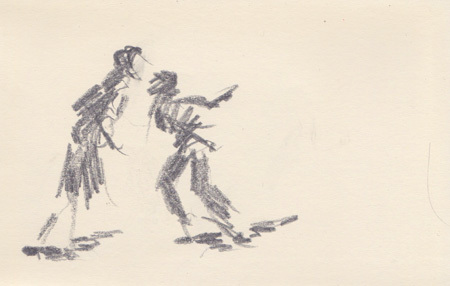 Last night I watched Keersmaeker dance a duet with Boris Charmatz, the dancer/choreographer instrumental in filling Tate Modern with dance last weekend. 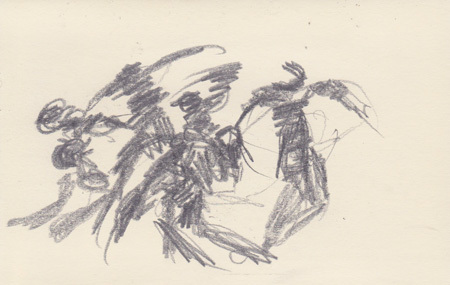 They were joined by the amazing violist Amandine Beyer, Infact Beyer played alone on a dark stage for the first 30 minutes, she left as the dancers arrived to dance in silence, except not silence our heads were still filled with the earlier music, then the three performed together. 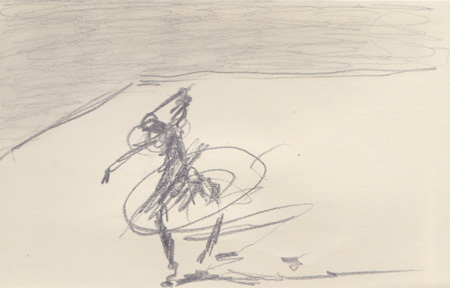 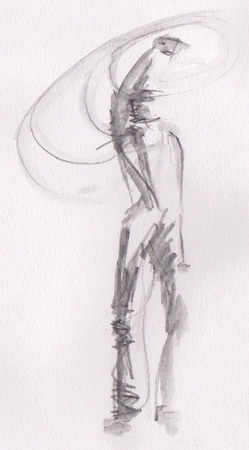 Here are some of my quick pencil sketches drawn in the dark which I hope to take through to etchings. 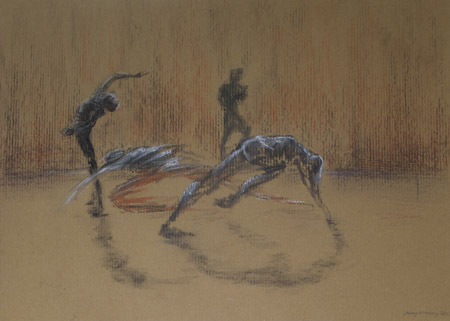 Sadlers Wells 26th – 27th January the Richard Alston Dance Company staged a magnificent 20th Anniversary performance. 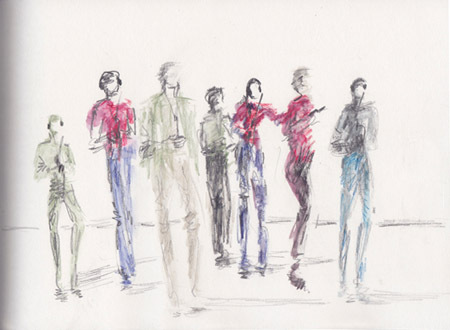 Rejoice in the Lamb, choreographed by Artistic Director Richard Alston opened the evening, with music: Rejoice in the Lamb, Benjamin Britain, 1943, a full choir the Montclair State University Vocal Accord sang on stage to accompany. 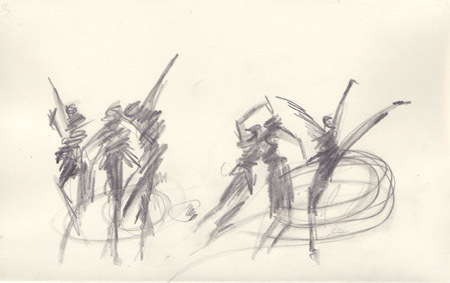 Burning choreographed by associate choreographer Martin Lawrence followed, with music by Franz Liszt (1849). 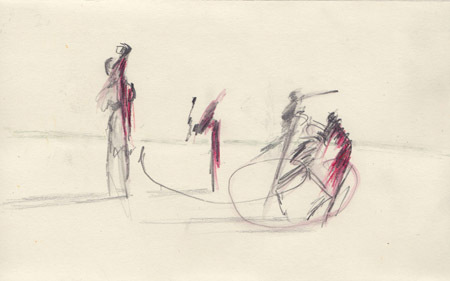 World premier for Nomadic choreographed by Richard Alston and Ajani Johnson-Goffe with fabulous music by Shukar Collective. 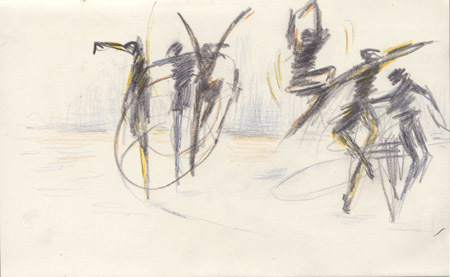 Martin Lawrence choreographed the final dance Madcap, 2012. 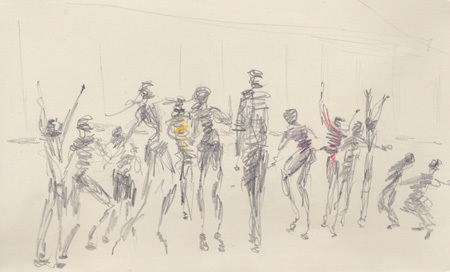 Just Us Dance Theatre fuses hip-hop and contemporary dance, created by Joseph Toonga with Ricardo Da Silva and Rudeen in 2007. 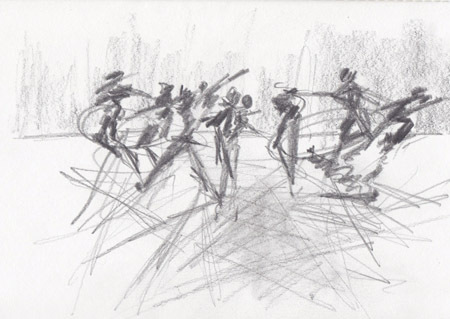 An inspiring evening of 10 short dance works, each with a different choreographer at Greenwich Dance.